One of my favorite holidays is the 4th of July because it’s quintessentially summer and encourages my #1 favorite color combination of red, white, & blue. 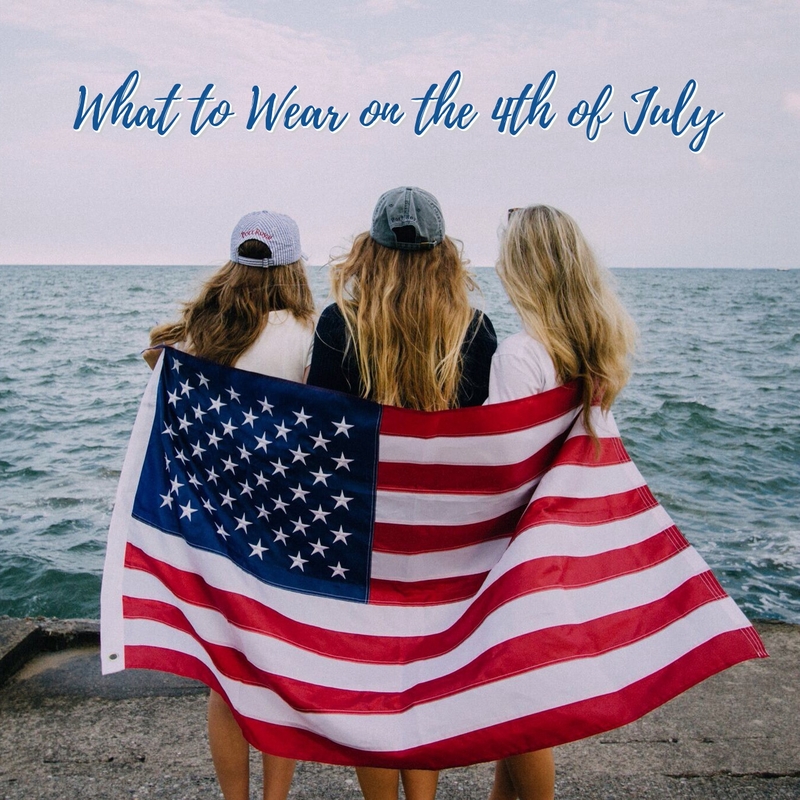 I personally love “going all out” for the 4th and showing my American patriotism with my outfit, but understand those who don’t want to look like a walking flag like I do. 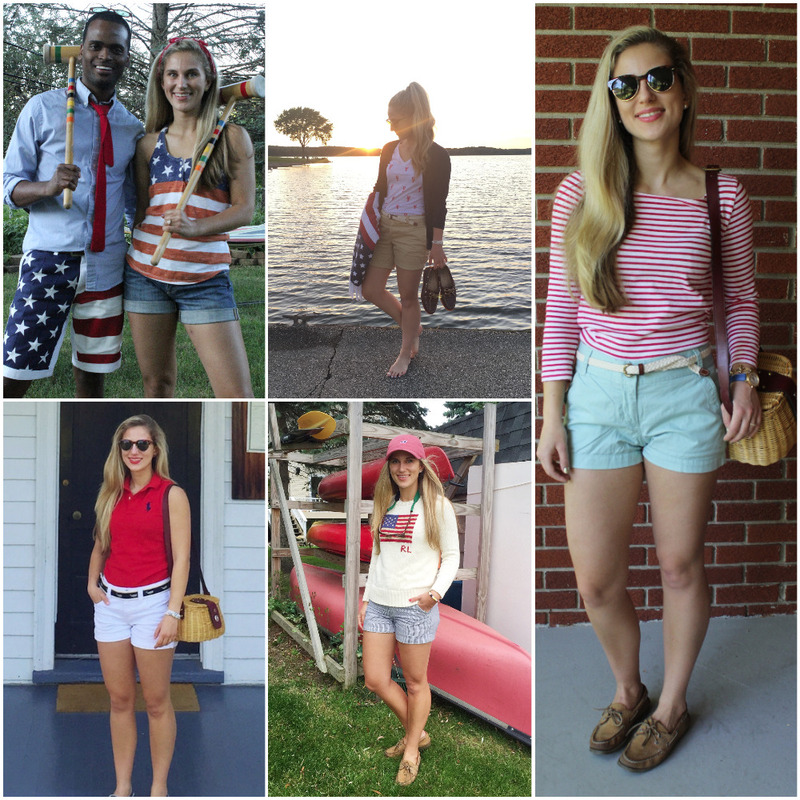 I’m going to go over outfits for both ladies and gentlemen for casual and more formal 4th of July events, and also check out my post last year for more tips. 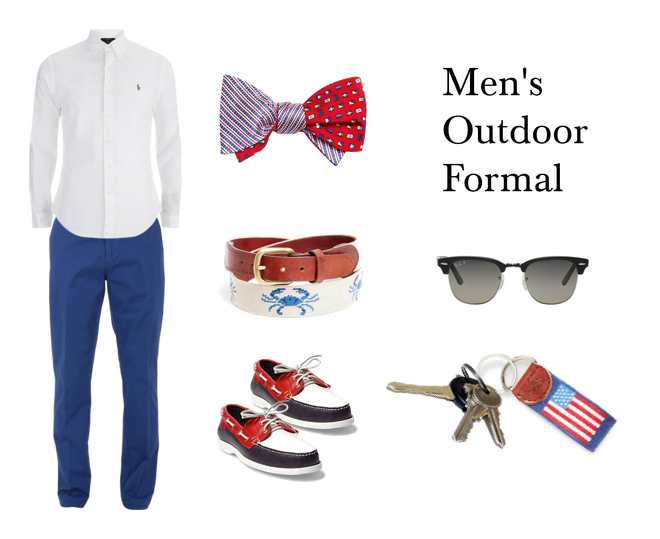 Wearing a 4th of July outfit more on the formal side is a little trickier to wear all three colors. That’s why I’d focus on choosing two of the colors, and accenting with the third such as a belt, nail polish color, etc. 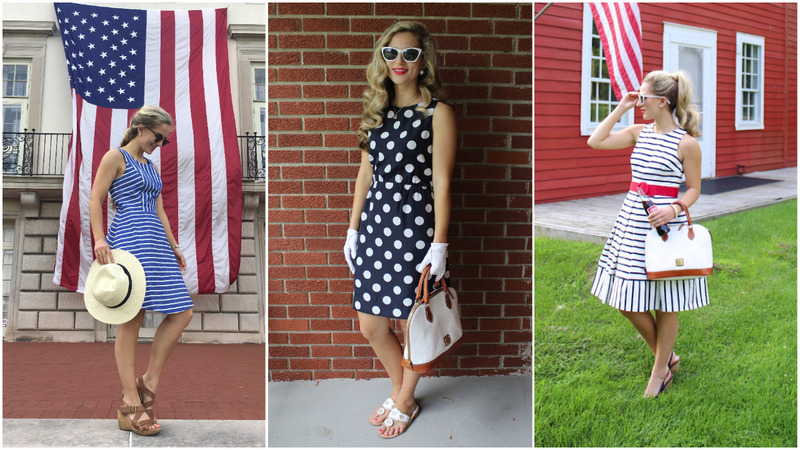 I’m going to a clam bake on the 4th and will be wearing the dress on the far right. My dress is sold out since it’s from last summer, but this year’s version is really cute. For men, I couldn’t be more in favor of colored shorts for the 4th. Nantucket red is one of my favorite summer colors on guys and think it would pair well with a crisp blue or white shirt and a needlepoint belt. 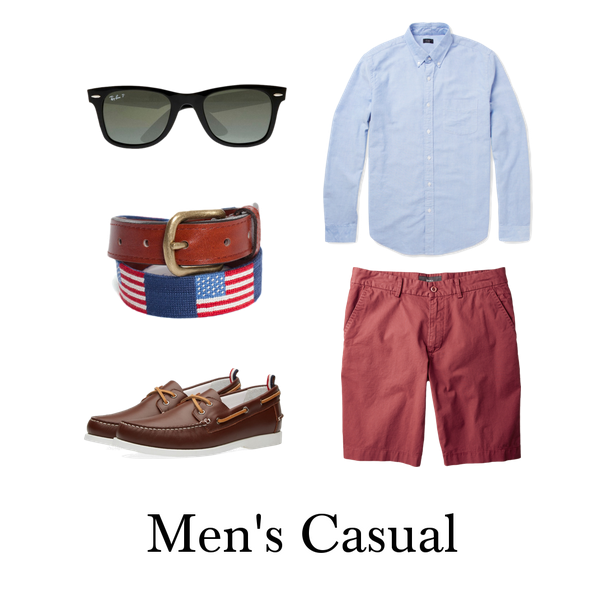 For a more formal 4th of July gathering, you want to hit that balance between dressing nicely but not too over dressed. 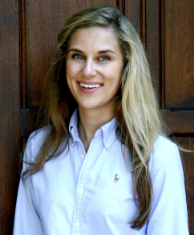 This holiday is still on the casual side even when you’re dressed up. That’s why I like chinos, boat shoes, button downs, and topping it off with a bow tie for extra class. I’m putting my husband in this patriotic bow tie (c/o Port Royal Outfitters) for the 4th. How are you celebrating the 4th? What will you be wearing? Let’s find something to wear.